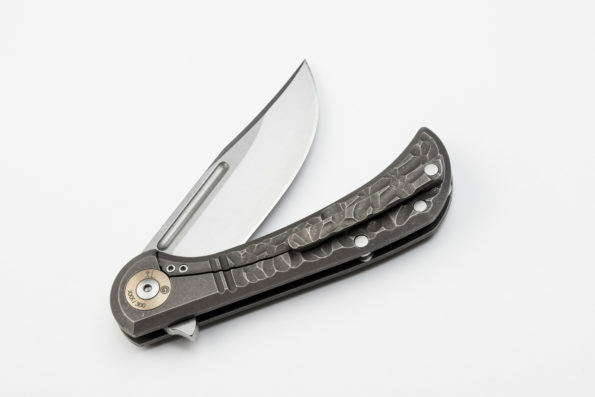 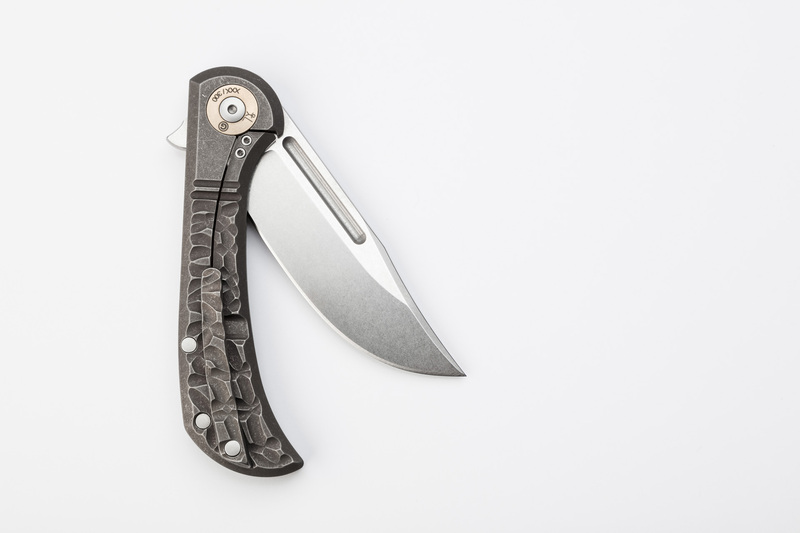 Folding knife, stonewashed M390 steel blade, ball bearing system, framelock, grade 5 Titanium scales. 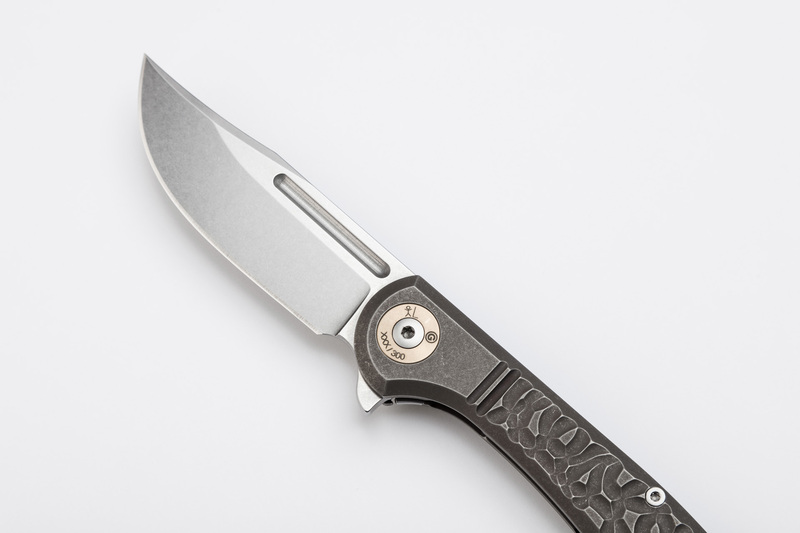 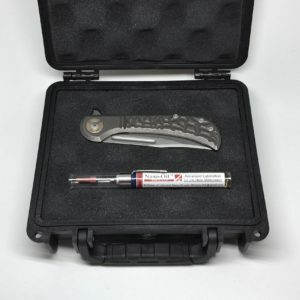 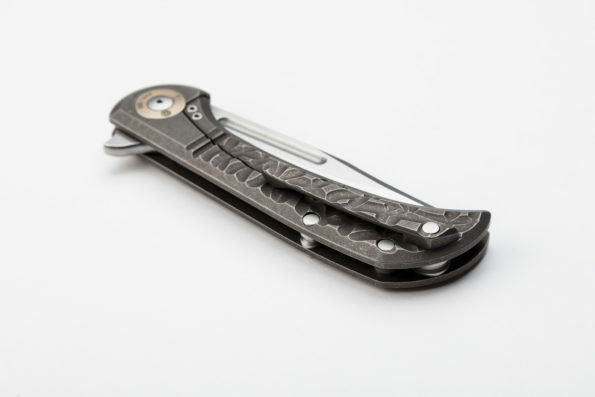 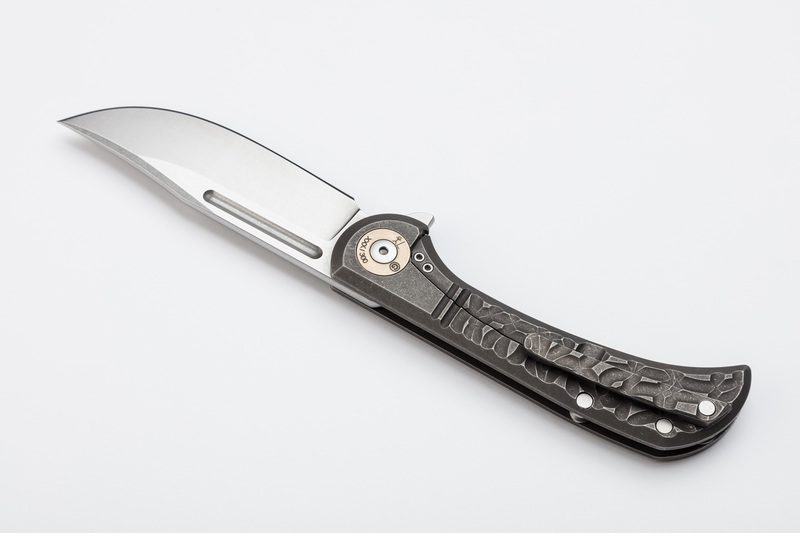 For an optimal care of your Bullet Knife, each knife comes with a Nano-Oil™ 10W micro oiler. 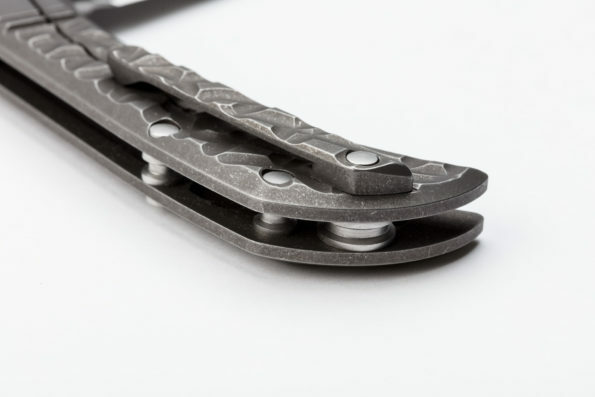 Nano-Oil ™ is a range of lubricants manufactured in the USA, using active molecules called “nano-bearings” whose size is less than 0.090 micron. 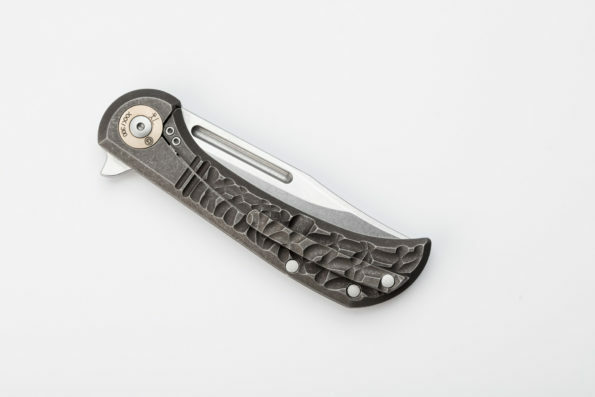 They are magnetically induced (really negatively charged) to adhere to crevices and really penetrate the metals, to offer a very dynamic contact with reduced friction. Nano-Oil ™ does not contain any of the following: Silicone – PTFE Resins – Graphyte – Molybdenum Disulfite – Teflon – Copper – Silver – Lead – hazardous metals or solvents. 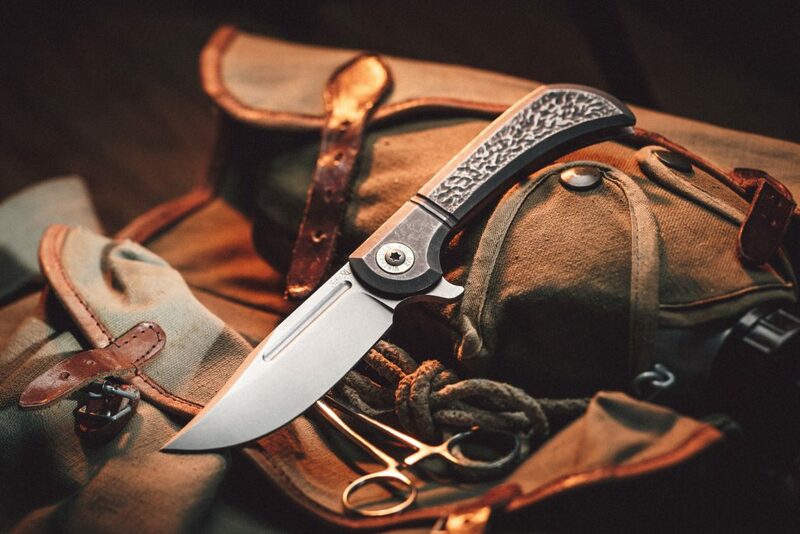 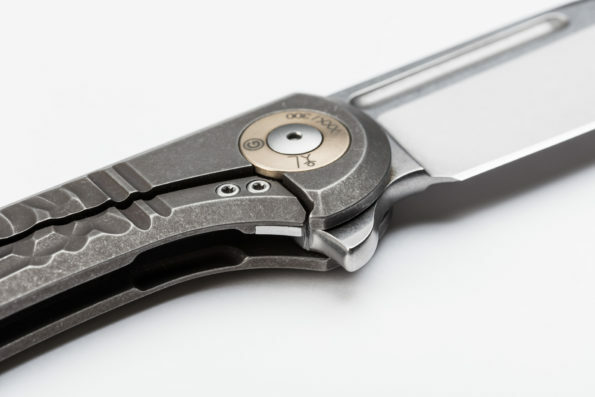 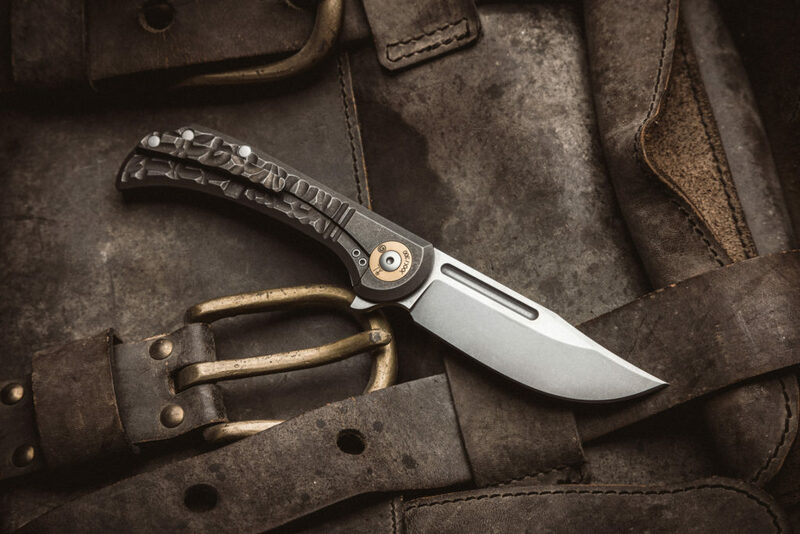 Gudy van Poppel’s Bullet Knife, custom prototype of the collaboration. 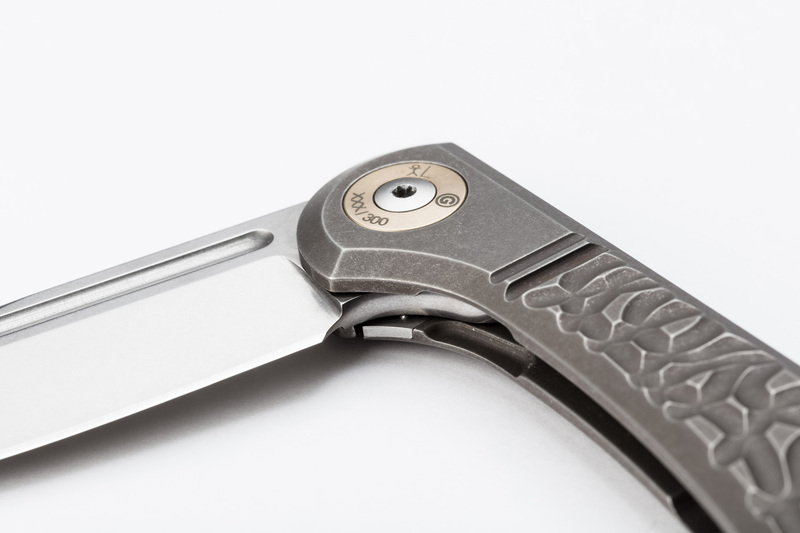 The product of the collaboration between Gudy Van Poppel and Editions G, the Bullet Knife will be a limited run of 300 pieces. 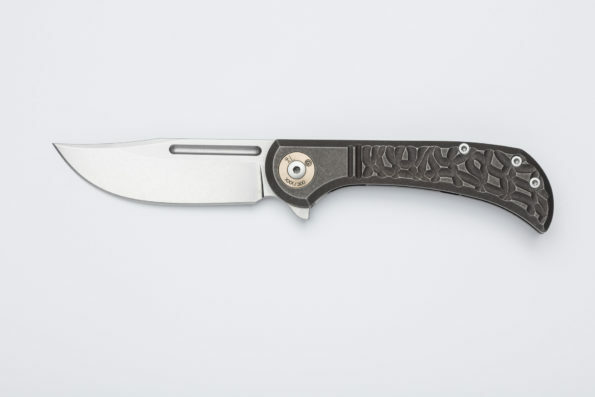 Sehr schönes Messer!robust und liegt gut in der Hand. Und ist dank der schönen struktur sehr griffig.Preis Leistungs Verhältnis ist gut.Alles in einer sehr massifen Kunstofbox.